Parvez Dewan, former Advisor to Governor, Parvez Ahmed, Chairman J&K Bank and Simrandeep Singh, CEO Shrine Board at the reception hosted for participating teams of Santosh Trophy Championship at Katra. KATRA, Feb 10: On the eve of commencement of 73rd National Football Championship for Santosh Trophy, North Zone, being held at the Shrine Board’s Sports Complex at Katra from tomorrow, Shri Mata Vaishno Devi Shrine Board, Katra; Hotel and Restaurant Association, Katra, PHD Chamber of Commerce and Industry, Jammu Region; besides other Trade and Tourism organisations hosted a reception here this evening for participating teams in the Championship. 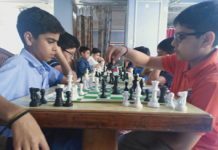 The 6-day long Championship is being organised from February 11 to February 16, 2019 in which 8 teams from north India are participating. 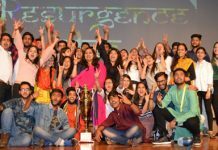 These include Uttarakhand, Uttar Pradesh, Punjab, Haryana, Delhi, Himachal Pradesh, Chandigarh and host Jammu and Kashmir. Around 200 footballers and the officials participated in the evening reception held at Katra. Among those present on the occasion were Parvez Dewan, former Advisor to Governor and ex-Union Secretary; Parvez Ahmed, Chairman and CEO, J&K Bank; Simrandeep Singh, Chief Executive Officer, Shri Mata Vaishno Devi Shrine Board; Jitendra Kumar Gupta, Commandant, CRPF 6th Bn; Zameer Thakur, President Jammu and Kashmir Football Association; Rakesh Wazir, President, Hotel and Restaurant Association, Katra (HRAK) and Co-Chairman, PHD Chamber of Commerce and Industry, Jammu Region; Sham Lal Kesar, Chairman, HRAK; Shiv Kumar Sharma, President, Indian Style Wrestling Association, J&K; and Virender Kesar, Senior Vice President, HRAK and Katra Head, PHDCCI. 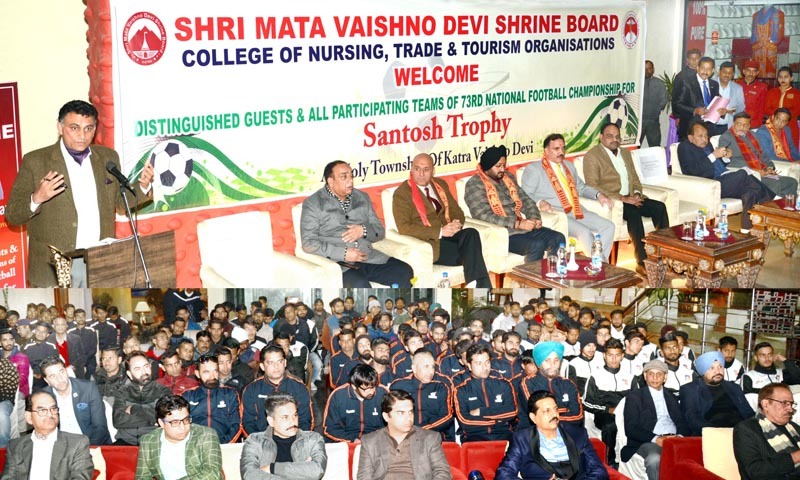 Speaking on the occasion, Parvez Dewan said that the hosting of Santosh Trophy Tournament at Katra will go a long way in the promotion of travel and tourism in the region. He added that this would project Katra on sports map as well. He said that among various activities, sports are the best medium which strengthens camaraderie and promotes trade and tourism like no other sector. 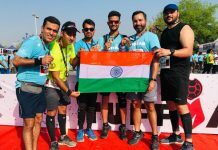 Parvez Ahmed, Chairman and CEO, J&K Bank said that it is a wonderful initiative to host the championship at Katra, adding that it will open the vistas for more such events here. He assured that we will continue to give priority for the promotion of sports in the state by not only making financial contributions but also by collaborating with all other stakeholders for its promotion. 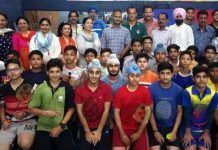 Simrandeep Singh, CEO of the Shrine Board observed that it was the desire of Chairman of SMVDSB to hold tournaments of national repute at Shrine Board’s Sports Complex, Katra. The town which otherwise is world famous for holy pilgrimage also has assets to hold international and national sports events. He added that players would also get the advantage of going to Bhawan and seek blessings of the goddess. Ashok Kumar, Director Sports, SMVDSB, presented welcome address while Rakesh Wazir conducted the proceedings of the function.